Set the stage for your child to soar with these just-right books that teach the first 25 sight words! This cheery red box includes 25 titles, each focused on a key sight word: the, of, and, a, to, etc. The books’ real-world topics with predicable text are super-engaging to make mastering these must-know words easy and fun. Includes motivating stickers PLUS a mini-activity book to ensure learning sticks. Set the stage for your child to soar with these just-right books that teach the second 25 sight words! This cheery blue box includes 25 titles, each focused on a key sight word: or, one, had, by, word, etc. The books’ real-world topics with predicable text are super-engaging to make mastering these must-know words easy and fun. Includes motivating stickers PLUS a mini-activity book to ensure learning sticks. Set the stage for your child to soar with these just-right books that teach the third 25 sight words! This cheery green box includes 25 titles, each focused on a key sight word: will, up, other, about, out, etc. The books’ real-world topics with predicable text are super-engaging to make mastering these must-know words easy and fun. Includes motivating stickers PLUS a mini-activity book. Set the stage for your child to soar with these just-right books that teach the fourth 25 sight words! 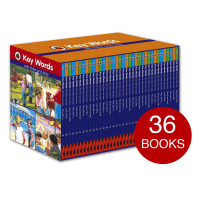 This cheery orange box includes 25 titles, each focused on a key sight word: number, no, way, could, people, etc. The books’ real-world topics with predicable text are super-engaging to make mastering these must-know words easy and fun. Includes motivating stickers PLUS a mini-activity book to ensure learning sticks.